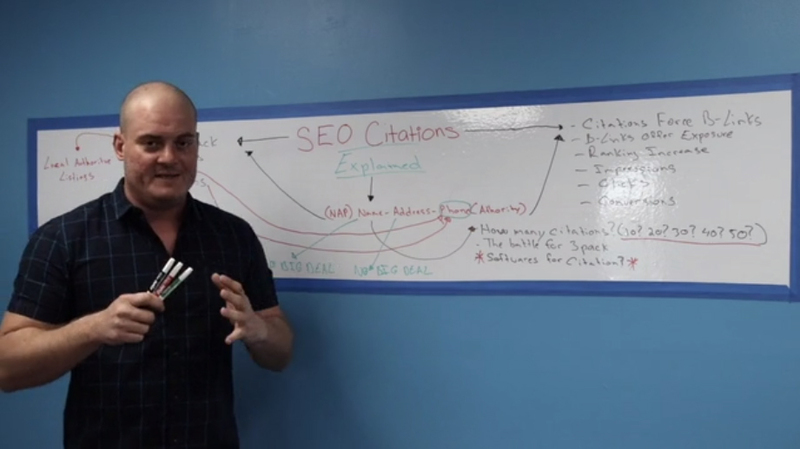 Worried about SEO citations? What should you do what not to when looking for the local rankings? Read in the blog about all the aspects of SEO citation. Almost certainly, you’ve had SEO companies attempt to put fear in you about citations. Don’t let them, because the facts of SEO citations show us that you don’t have to fear them. The big three. How important are they? The Google “Three Pack” is there to help you, not hurt you. Google created an algorithm, as they always do, because they noticed a problem. They had to get rid of spam so no fake businesses could get calls by piggybacking off of your content. The algorithm takes the name, address, and phone number and makes sure it aligns with local directory sites like Yelp. We need to look at two sides of citations. The whole point of SEO citations is for Google to recognize your law firm as authoritative and legitimate in your area. You want to increase organic impressions so you can increase clicks to your site. You want those clicks to turn into phone calls. Those are the conversions you are aiming for. They are your clients. Remember, website design is also important. Sometimes the initial impressions and clicks may not turn into phone calls, but if they are on your page, you can get further conversions from inside your site. Citations force the need for more backlinks, another thing you hear about so often. Backlinks increase Google organic impressions, which increase your Google rankings. Again – impressions increase, clicks increase, conversions increase. Are you converting leads and clients off of local directories you are signing up for? No. Clients are not going to sites like Yelp and other local directories to look for legal help. But these directories are important. Because there is a list of 30 to 40 local directories that Google needs for you to be authoritative as a part of their “Three Pack.” They want all of these directories to match in important ways. If they match, your rankings will increase, which means your organic results will increase. Don’t let any SEO company make you feel like this is a big deal – this is just logic. Your name, address, and phone number must align with the directories you sign up for. What if a mistake is made on your name on some of the directories? For example, you are called the John Doe Law group, but someone you’ve hired to create directory entries puts some in as the Law Group of Doe. Don’t worry. This is NO BIG DEAL. What if some listings are missing the address or street number? The most important thing is that your phone number is the same. If you have 50 citations but 20 have incorrect phone numbers, people will call the wrong place. Google will flag this as a bad user experience which will hurt your firm. Keep the same number, always. Sometimes firms are merged or partners change. That’s okay, but keep the number the same. No. Do not be dependent on software to create and maintain your citations. They take over and build directories for you, often layering on top of old entries. They charge monthly fees and keep you hostage until you cancel, at which time all the work they’ve done will be deleted. “If an SEO company cannot create manual citations, do not hire them,” says Denis Zilberberg, WebsLaw CEO. The bottom line is this – legal marketing SEO strategy doesn’t have to be a mystery. It is logic. Come up with a smart plan and don’t be held hostage. Keep control of your material and be consistent with your NAP, especially your phone number.